It is a very good picture, is it not? 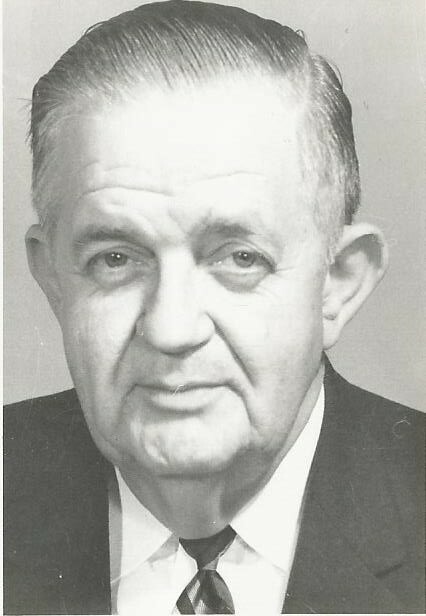 Family history is a goldmine of stories one should never pass into the ether of things forgotten and lost forever. That premise is one rationale for this weblog. 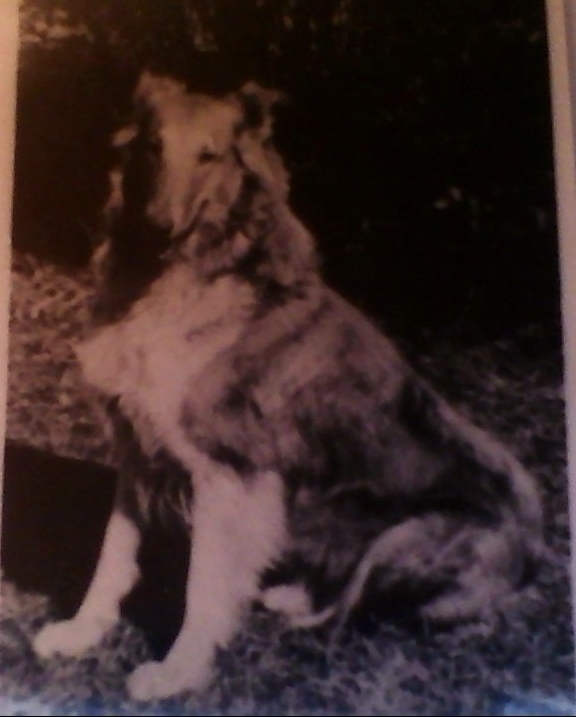 Today, acting on that rationale, I share information about a dog who saved my father’s life when he was a boy. I have attempted to get the details correct, given conflicting memories. Human memory is not like a video recorder, brain scientists tell us. 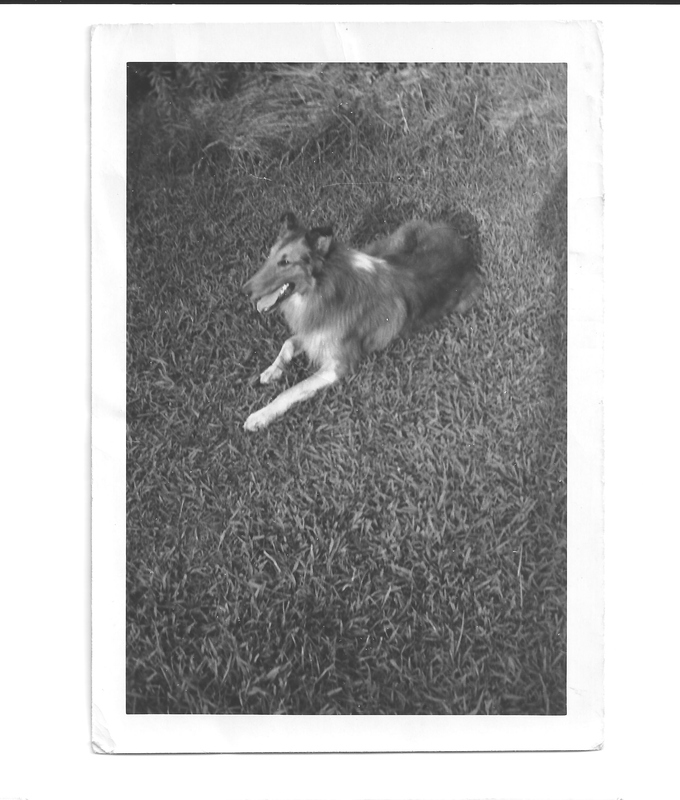 My grandfather, John D. Taylor, Jr., kept collies for a few years. 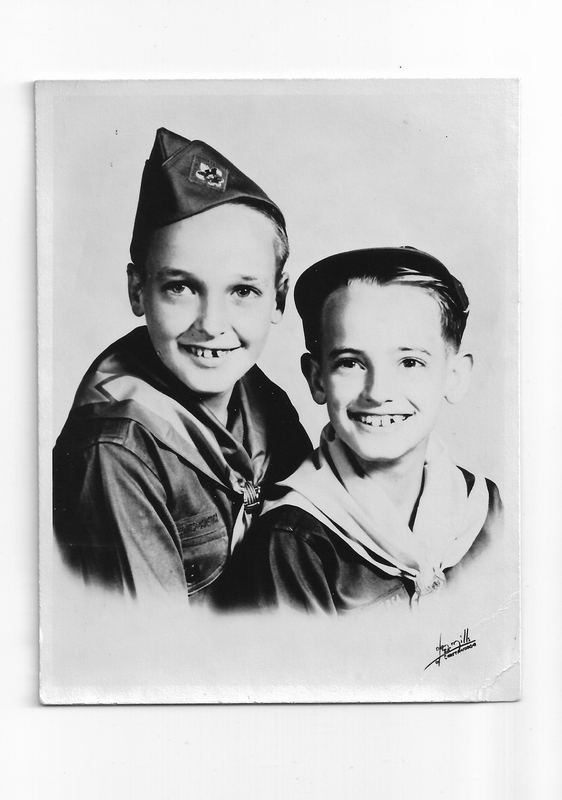 One of these was Jean, who appeared in a Lassie movie–either Lassie Come Home (1943) or Courage of Lassie (1946). 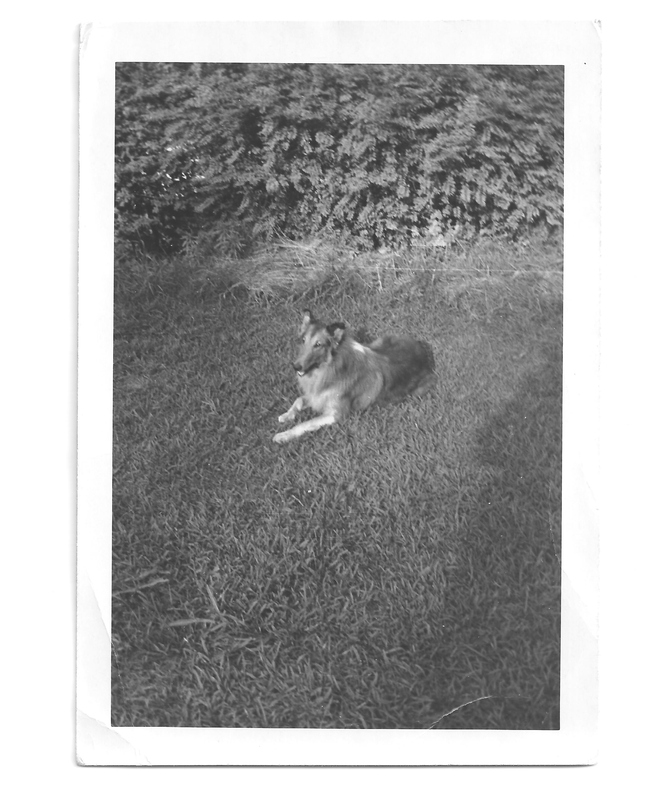 My grandfather had purchased her from the kennel of Rudd Weatherwax, who trained dogs for movies and television shows, including the Lassie films and series. I have heard stories of the family going to an airport to pick up Jean, who was returning from Hollywood, and of the family watching the Lassie movie with Jean in it as my grandmother, Nell Barrett Taylor, pointed out Jean’s scenes. Jean was a sweet dog. 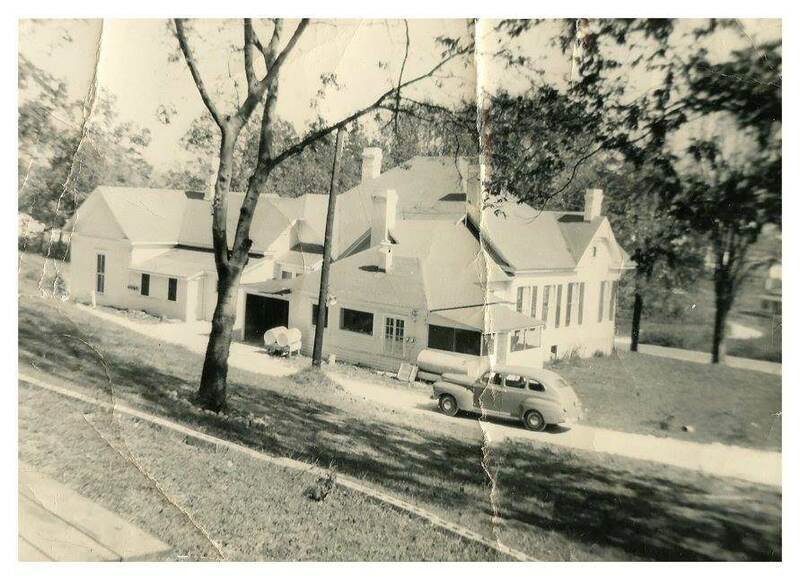 My father (John D. Taylor, III) and uncle (Randy) rested their heads peacefully upon her on parts of Summer days spent on the veranda at the family house. She was, simply put, a good dog and a wonderful friend and companion to them. Jean died, having been put to sleep, no later than 1953. Yet my debt of gratitude to her remains, for, without her intervention, I would not exist. 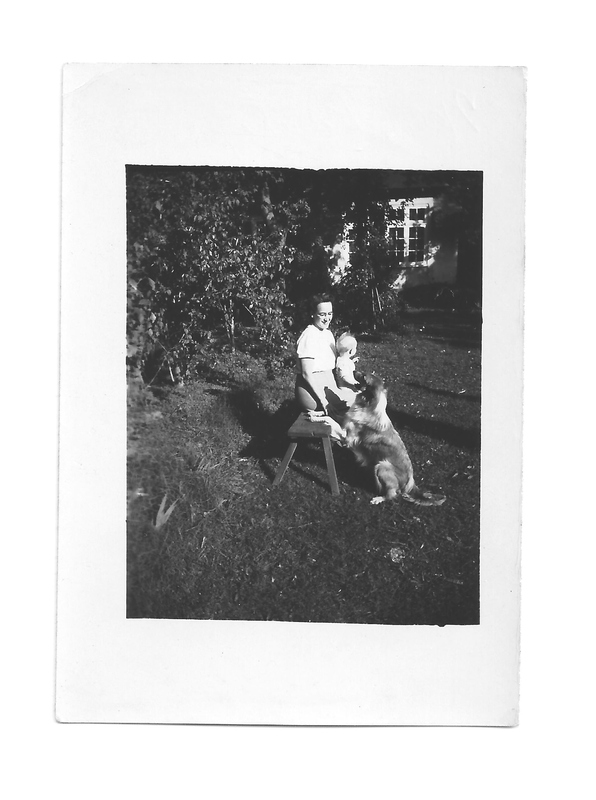 Here is a photograph of Jean with my grandmother, Nell Barrett Taylor, and my uncle Randy (born in 1945). 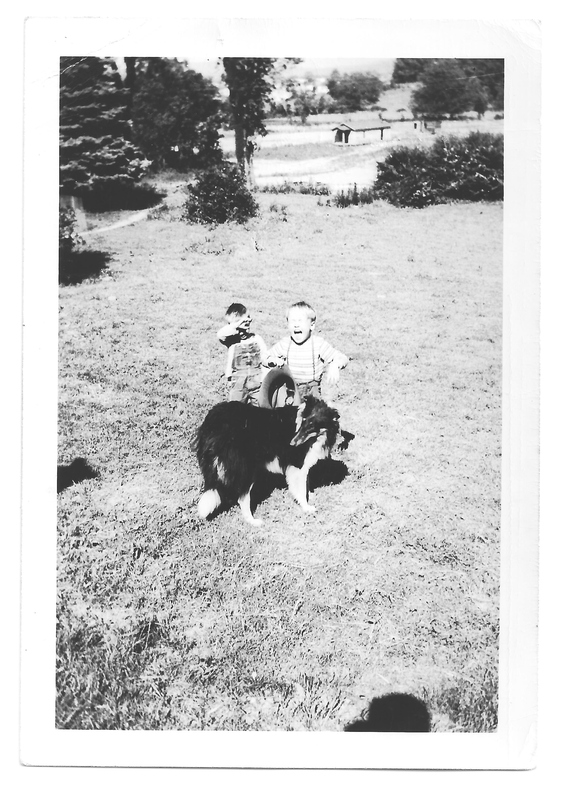 And here is a photograph of my father, John D. Taylor, III (born in 1943) and my uncle Randy (born in 1945) with Ginger the Collie.